Search engine optimization requires a ton of dedication and proper planning. With dozens of tiny and not-so-tiny elements to consider, it can be difficult to know where more focus is needed from time to time. At the core of SEO, quality content, technical precision and optimal targeting are always needed. While you may have already mastered the art of quality content, most people lack full awareness when it comes to optimizing keyword selection. In order to improve SEO in meaningful ways, we’ve put together a short post that explains how your keyword selection efforts can be improved. As search engines become more sophisticated and aware of intent, the ability to quickly find what we need is becoming more common. However, different users will search for content using different types of queries and keyword structure. Some people may use an entire proper sentence in order to find what they need. Other people may be pinging search engines with basic queries that only include raw keywords. When doing keyword research and analysis, it is very important to understand that there will be variance in keyword and phrase structure from person to person; you may be missing out on valuable related keywords and phrases if you limit your research to just one type. As we discussed with the variance of search habits, it’s important to remember that keywords shouldn’t just be limited to simple statements of fact or vocabulary sheets. Many search engine users rely on search engines to answer questions for them. As such, some people will quite literally ask search engines questions in order to find what they need. These potential long-tail keywords and phrases in the form of questions are perfect targets for SEO savvy brands, as longer keywords and phrases tend to have less competition. While these SERPs may have less traffic overall, your ability to derive a greater share of its traffic can more than make up for the difference. People want answers: they’re going to ask questions to find them. Anybody with experience in keyword analysis should already be familiar with keyword research tools, but just in case you haven’t used any..now is the time. 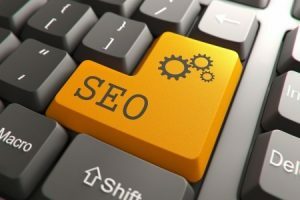 These tools can be dramatically useful in filtering out dud keywords and improving overall targeting efforts via SEO. Many tools provide you with the ability to evaluate dozens of related and relevant keywords in minutes by pinging search engines for statistics relating to each one. At the same time, keyword analysis requires plenty of careful consideration and common sense. Some potential choices may look good on paper, but end up performing terribly. There are always reasons for this, and many times, they can be seen from a mile away by those who have keyword experience. Use technology and common sense to guide you. Keyword research remains a stressful and time-consuming process, even with assistance and advice. What are your biggest keyword-related SEO stories, and how much time do you spend researching keywords each month? Europe’s New “Right to be Forgotten” Concept: What Does It Mean?